The Sports Legends Museum is located in the historic Camden Station, adjacent to the main gate of Oriole Park at Camden Yards. The Museum features exhibits and artifacts on local teams past and present, including the Baltimore Orioles, Baltimore Ravens, Baltimore Colts, Maryland Terrapins, Baltimore Elite Giants, Baltimore Black Sox, and the Baltimore Blast. 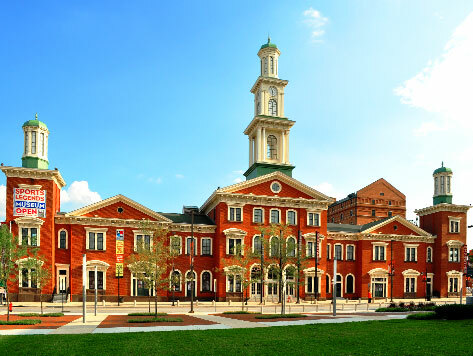 The Museum shares a building with Geppi’s Entertainment Museum, and is nearby many popular Baltimore Inner Harbor attractions including the Babe Ruth Birthplace and Museum, M&T Bank Stadium, National Aquarium, and Historic Ships in Baltimore.